Welcome to Mr. Gus's Journal: Outdoors in the classroom! For the past three weeks I have been substitute teaching in the art classroom at Astronaut High School, and have been having so much fun! NOT being an art teacher has been the greatest challenge. I was trained in education yes, but Agriculture and Natural Resources, not Art. So what do you do in that situation? A good teacher improvises and goes with existing plans and curriculum as much as possible. The lessons cannot just be about anything, they must tie in to what the students already know, and then built upon that. One of the first things I taught the 9th and 10th graders is to appreciate other, less obvious or popular forms of art. We discussed outdoor topics, and I led the kids into knot tying. We watched the movie Master and Commander, and I led in from there. 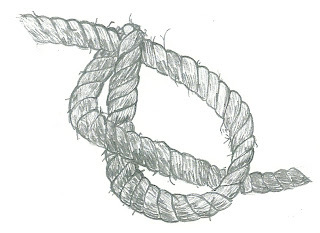 Tying knots has been part of our culture for the last 5000 years or so, but knot (lol) so much in our modern, urban situations. 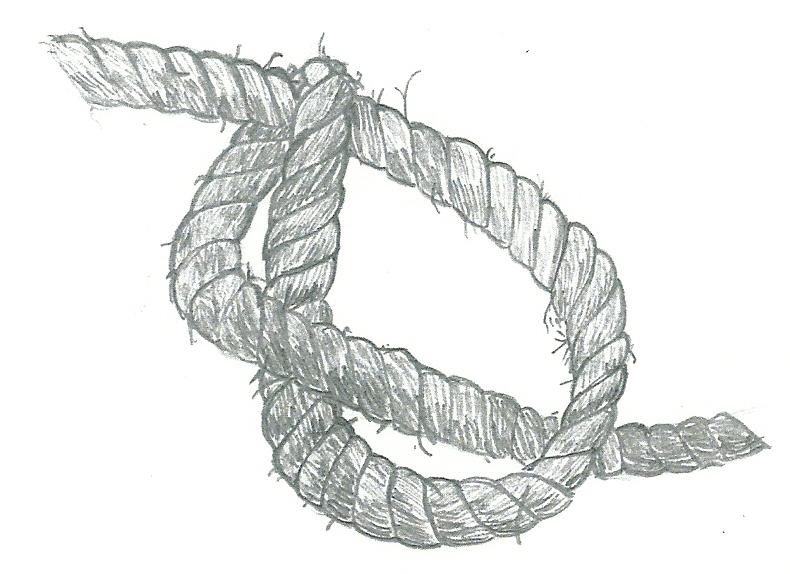 I brought in some rope, and we learned a few knots like the overhand and figure-eight and then gave a sketching assignment. The one in this story was done by one of my best female students named Chase, but there were many that were just fantastic! I'll scan a few more and try to include them. After the sketching, my 3-D art class learned to make para-cord bracelets which are very popular among the outdoor kids now. For a great website that teaches the para-cord bracelet, be sure to visit ITS Tactical, and their SkillCom/Knot section.